*We had to remove the name of the Autoresponder service that was named above as per a recent email request by their Director of Client Relations & Development Sean Cohen which is Available Upon Request! ...And Do It For Less? Finally! A Responder system that Financially Challenged Persons Way Of Saying Good Bye To The High Monthly Fees That All the Other Responder Companies Charge you. You all know the ones that we are talking about. They are full featured responders, and that is what you need, but why pay out $19.95 or $24.95 a month when you can get a full featured responder for much less. Thus increasing your bottom line. The True fact is that in order to be a success you need a list full of subscribers, and those subscribers are the ones that will return to you over and over again to buy your products and or services. The money is in the list, but do not let that fool you. You could have a responder full of 10,000 subscribers but if none of them are interested in your products of services then you are just wasting your time with that list. When you decide on our responder, your subscribers will benefit, because you will be able to send them a message about all your products and methods of sales. One list can make the difference. However with DirectResponders you have the ability to make list after list, that will send out message after message to your subscribers. This is the key to success. Build you a list of loyal subscribers and followup with the correct message and your reponder will then turn into a money printing machine for you. Working 24/7 365. Catapult your business to new heights of credibility by giving your Subscriber a never ending supply of training and knowledge even if you are on Vacation. Message upon message will go out to your list from your responder. If so, I'm just like you! We knew that the use of an auto responder was the smart way to build up our list from the ground up, and to do it much faster than ever before possible. Did you know that it takes an average of nine follow ups with your subscriber to make them want to purchase your products and or services. If you had to do every message one at a time it would take you forever to get this done, but with a responder the message will go to your list everytime, and you do not have to worry about anything at all. Now if you have ever used a different repsponder to build a list then at least you are on the right track to building your list. However do you really want to continue to pay $24.94 for a responder that will build a list, send a message to a subscriber when you can get a direct responder account and it wil do all the same things but for much less. Build you list, send a message to each subscriber when ever you want to. And then just sit back and watch your reponder business grow and grow. With each message that goes out to a subscriber you increase your chance of a sale. I wanted and needed a good full featured responder service that was not going to close my bank account. So I started to search for a better answer, and you know what I found? I found many different responder sites, and they all will send out a message to a subscriber, and build your list. But they all have different limitations on them. Some limit the number of subscribers you can have. Some limit the message itself. They limit how many times you can send a message to the list, and this is only a few of the things that they do. For example, you could only import a certain number of names at a time, so if you had a huge list to import it could take you some time to get them all in your responder. Even if you paid a higher price you would find that many of them would still put their advertising on your pages. Plus many of them would also restrict you to the number of people that you could have in each responder. Well it is time to say goodbye to all of that. 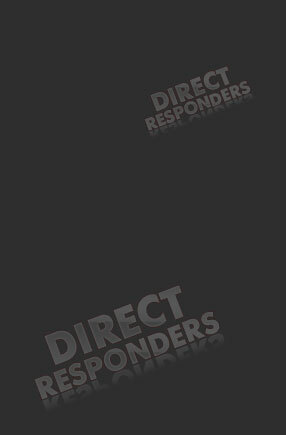 Here at Directrsponders we wanted to create the perfect responder system for everyone with all the features that you need but at a much lower price than what you have been paying so we went to work and came up with a few things. First bear in mind that a responder must have the ability to gather names and put them into a list. Then you want the responder to have the ability to send out a message at pre-determined times, but also you want to be able to send a single message to a subscriber when you want too also. NEW RESPONDER LIST BUILDING SYSTEM JUST FOR YOU. Create unlimited number of auto responder accounts. One for each of your product, if you want to. Personalize each of your follow-up message with the subscriber personal information and up to 10 extra customizable fields. One click unsubscribe link allows your subscriber to automatically remove their email address from your database or edit their personal information. 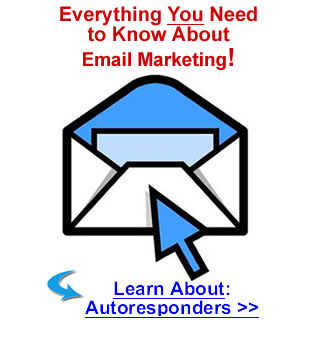 The follow-up auto responder is linked to the mailing list module making it possible for you to contact your subscriber whenever you want, whether they have completed their follow-up message or not. Create and automatically maintain as many lists as you want. Collect unlimited number of subscriber. You can customize the confirmation email as you like. Ip address, date and referral url of subscription is automatically logged in the database. A proof that the person had indeed subscribed to your list in case someone accuses you of spamming. Personalize your messages with the personal information of the subscriber and up to 10 additional custom fields. Manually add, edit and delete subscriber through your admin control panel. Search for a particular subscriber. Send your message in text or html format. Automated Message Scheduler allows you to enter your newsletter/message and let the software do the mailing at any preset date. Great feature to keep in touch with your subscribers even if you're away! Global Message Broadcaster allows you to broadcast a single message to all your subscriber even if they are subscribed to several of your auto responders. This will avoid you of sending duplicate messages. Not many responders have this function at all. If you have 15 lists and you wanted to send a message to all the lists, you just type the message and click send and your message will go out to all 15 lists at once. Message Archives feature enables you to store your messages so that your visitors can access it through a search engine friendly link or via RSS! New & Unique feature: RSS Syndicator provides you with a means to keep in touch with your prospects other than by email. With the built-in RSS Syndicator you can make whatever you publish available publicly and without fear of spam filters. Automatic unsubscribe link is included in all outgoing message making it easy for the subscriber to remove himself/herself from your lists. Allow your subscribers to edit their contact information by themselves. This is a great feature to keep your list up to date without having to do any of the work. Ban subscriber based on a particular domain name or email address. Automatic bounce management allows you to keep your list clean by flagging bad email addresses. Automatically log the number of people who have unsubscribed and see the list at the click of your mouse. Add, edit, delete and reset your link trackers through the admin panel. Click Here For A Complete List Of Benefits To You! * WE HAVE ALL THE GREAT FEATURES HERE THAT YOU NEED. * AND SOME THAT NONE OF THE OTHER'S EVEN OFFER.